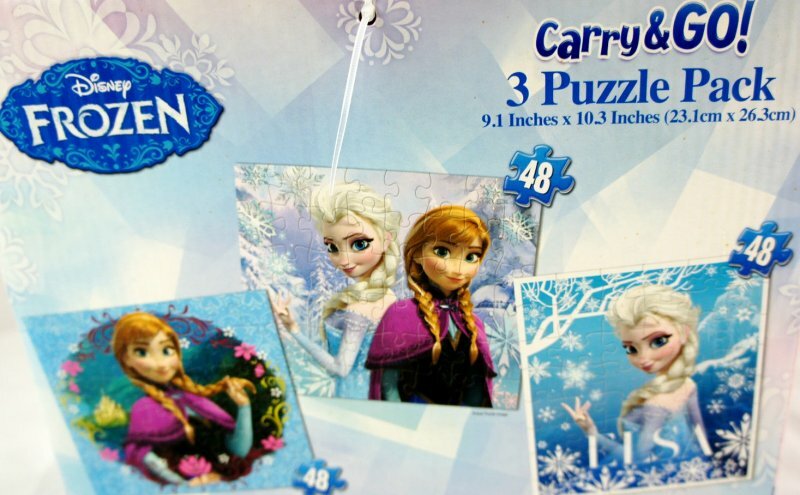 Disney's Carry & Go 3 puzzle pack with purple bag fearturing Anna and Elsa from Frozen, measuring 9 by 10 inches with 48 pieces the puzzles are great travel fun.. 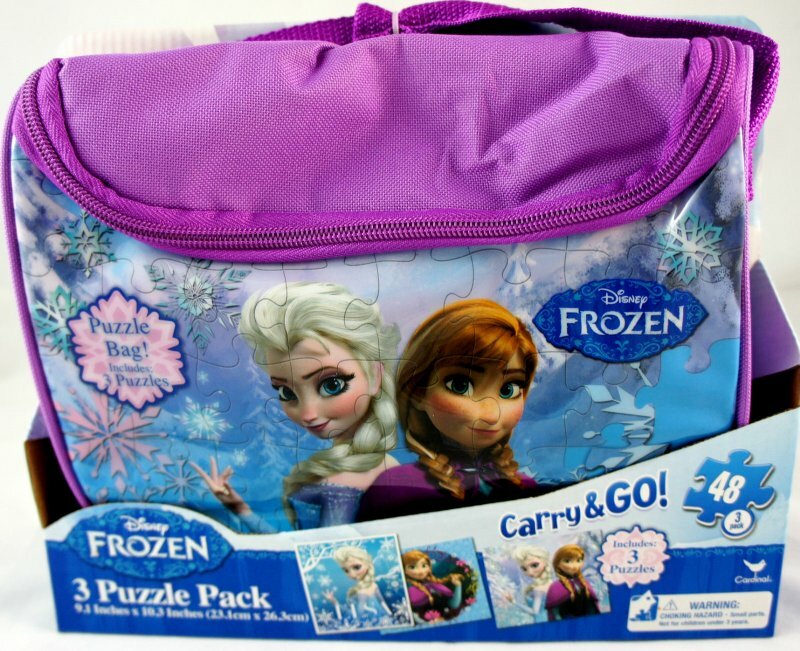 Frozen puzzle pack with cute little 10L x 2w x 8h (deep) inch purple bag. 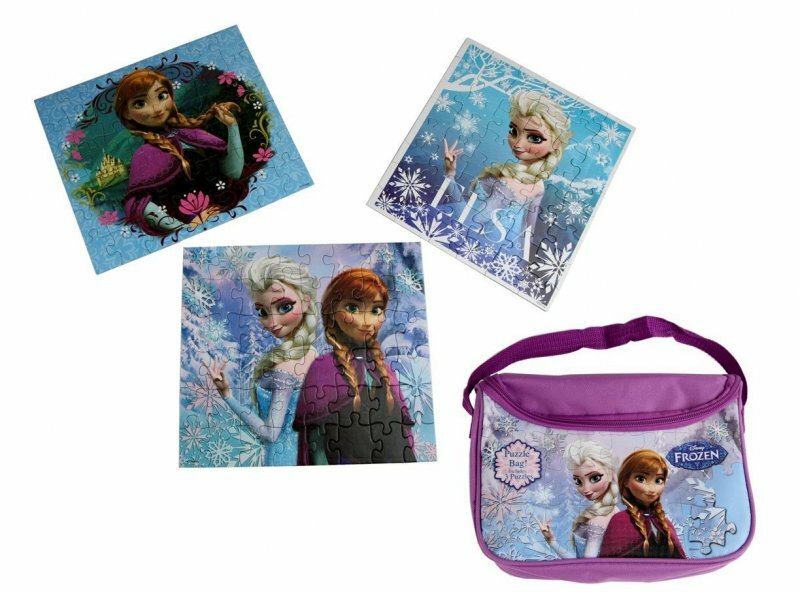 The sides top and back are medium weight canvas and the front has plastic picture of Elsa and Anna.